He is a trash collector. 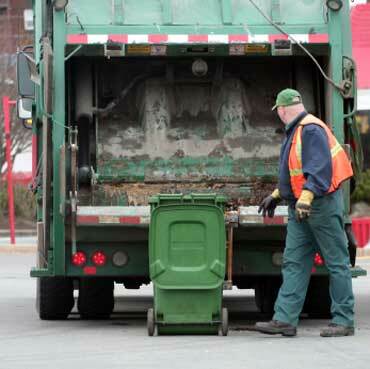 Trash collectors collect trash and put it in trucks. The trucks take the trash to a dump. Is he a tree trimmer? 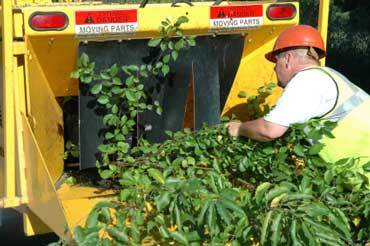 He trims the tree branches and puts them in a cutter. 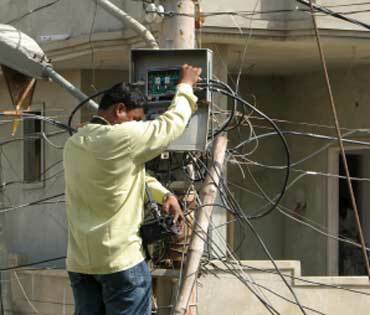 He is a cable worker. He climbs cable and telephone polls and installs cable TV. Copyrights to the pictures and photos on this ESL lifeskills lesson and EL Civics website belong to individual photographers. We have purchased the rights to use them. Do not copy the images on this ESL website. You may print any of the worksheets for classroom use or home study. You may link to any page of this educational website. Contact Christina Niven, ESL teacher, at christina@elcivics.com. Please send requests for new ESL and lifeskills lessons. Copyright © Christina Niven, 2007.